I’m so glad that I managed to clear my last post for my Taiwan travelogue last night! 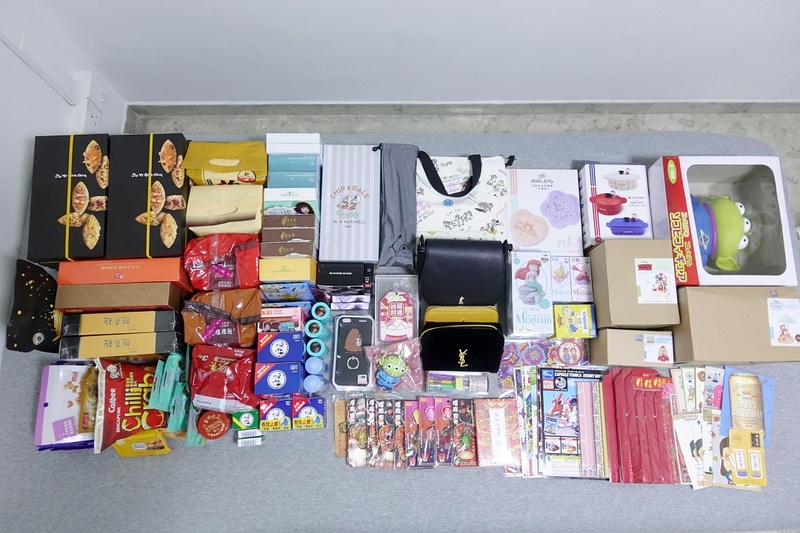 While there are still many videos left to edit, I thought I will wrap up this trip with a Taiwan Haul! It has been a while since I last did a haul! I was frantically searching for things to buy before my trip to Taiwan. 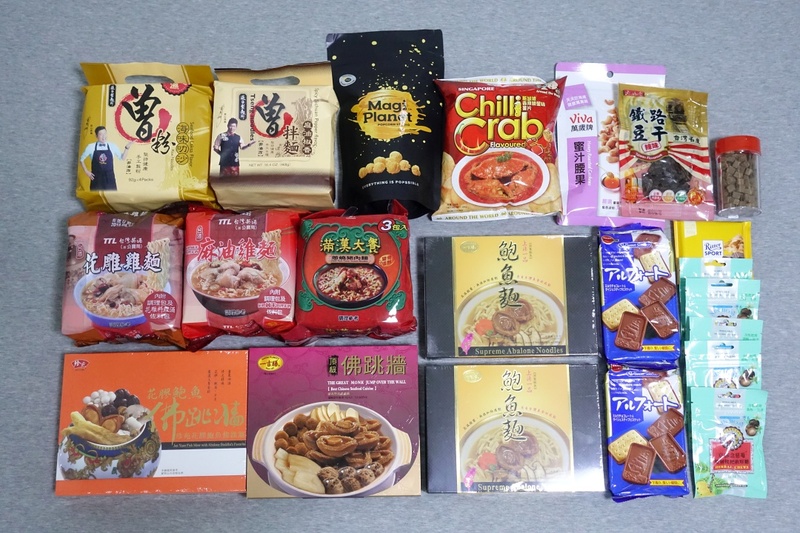 Like what are the best products to pick up from the drugstores, what are the popular instant noodles and snacks, etc. 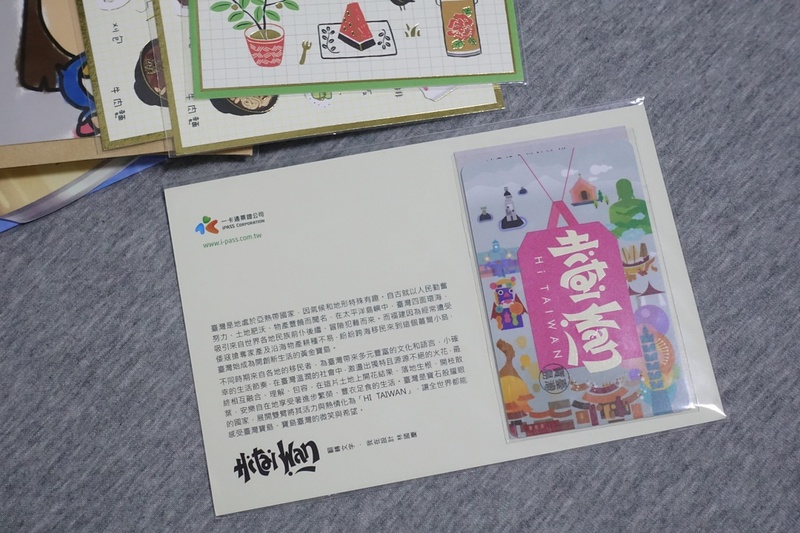 It was fairly interesting to learn what others get from Taiwan. 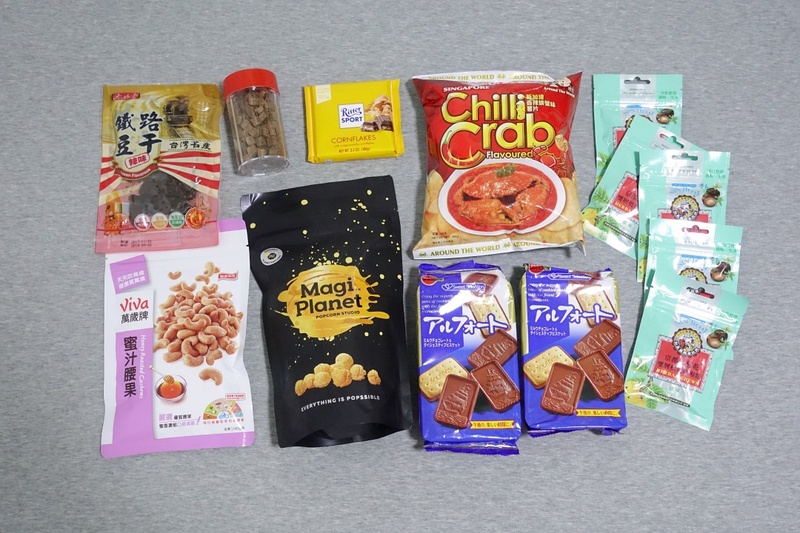 So I thought I would share a Taiwan Haul on the things I picked up during my 15 days trip. I’m not sure if the below are the full lists of things I got, as I took these pictures right after I return to Singapore. There might be a chance where I left out a couple of items, but I believe the bulk of them are accounted for. Before I get into the items, here are the number of bags I brought back after my trip. 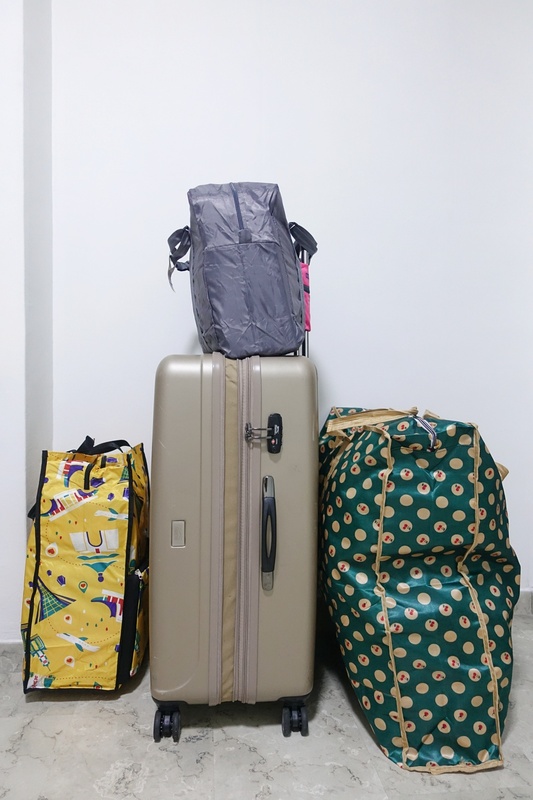 I went with one 29″ luggage and returned with a total of four bags. You can even see that my luggage was expanded to fit in more items! Inside consists mainly of my personal belongings like my clothes, toiletries, makeups, etc. My clothes already took up quite a big space since the weather in Taiwan was mostly cold and require thicker clothing. The grey and yellow bag consist of mainly food items; with the yellow bag containing the items we got at Duty-Free. And the big green bag on the right contains mostly the plushes and toys we got during the trip. 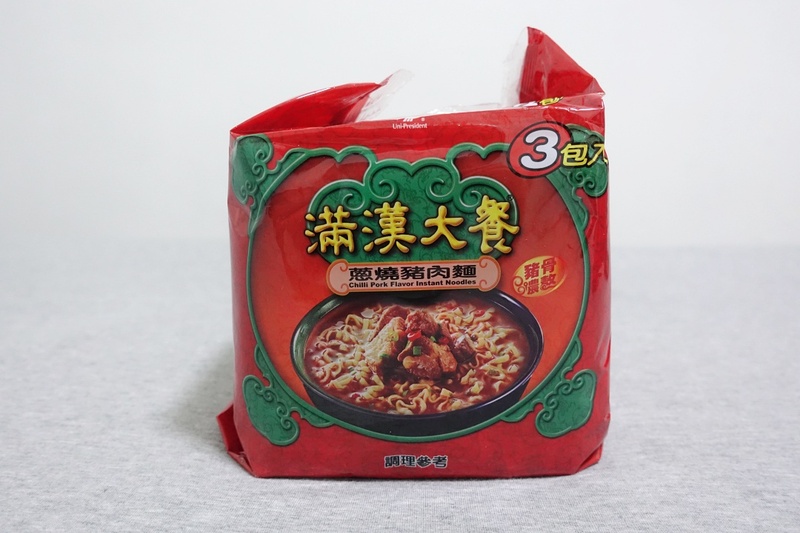 曾粉 (海味叻沙) Seafood Laksa Flavor / 曾拌麵 (麻油椒香) Spicy Sichuan Pepper Flavor. I knew about this from Catie’s recommendation. It’s probably not the same flavour that she recommends, but they were the ones I felt more suitable for my family. I first saw this at a supermarket near Shida Night Market, but subsequently also found them available at Taoyuan International Airport. 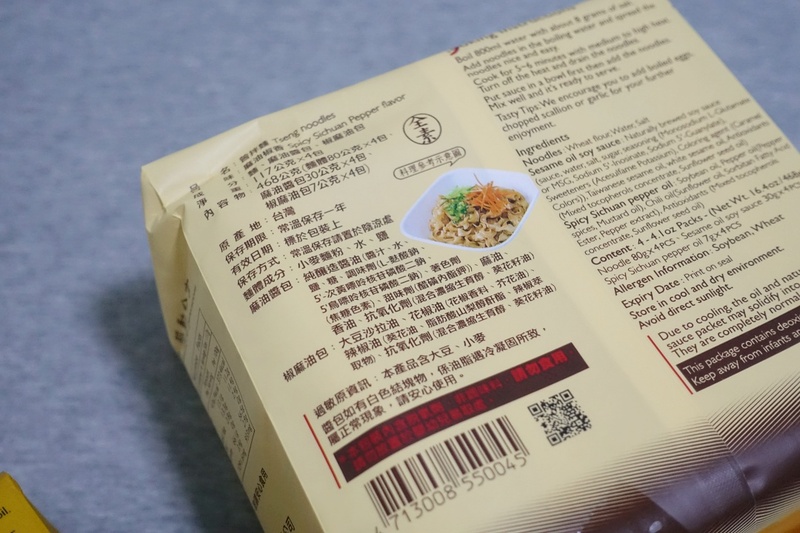 Each bag contains 4 packs of instant noodles. Seafood Laksa Flavor can be eaten dry or soup / 曾粉 (海味叻沙) 可以干湿两吃. Whereas the noodle is meant to be eaten dry. Unfortunately, I didn’t get to try either of them before they were all devoured by my family. TTL 台酒花雕雞麵 / 台酒麻油雞麵. Each bag contains 3 packs. Aside from the taste, what I love about these instant noodles is that the noodle came accompanied with chunks of chicken. 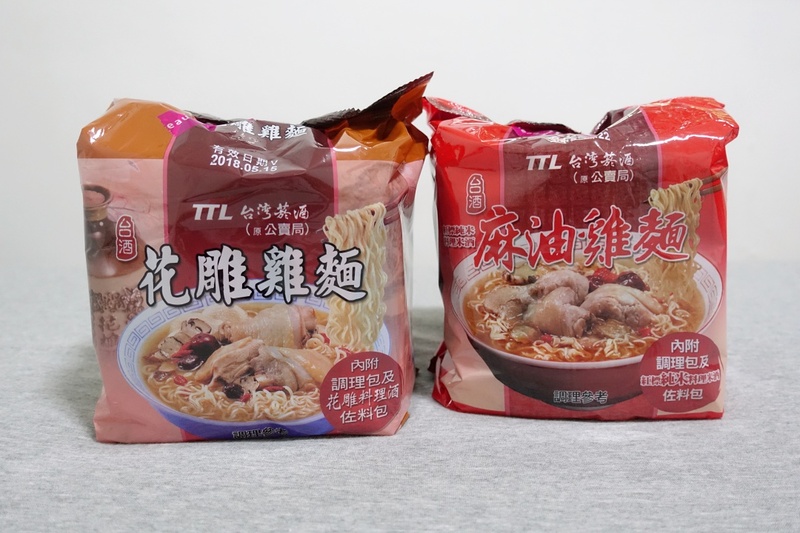 Since the Husband and I couldn’t cook in Taiwan, it resulted in us buying the instant cup/bowl noodle from 7-11 and ate them for lunch when we were in Taiwan. 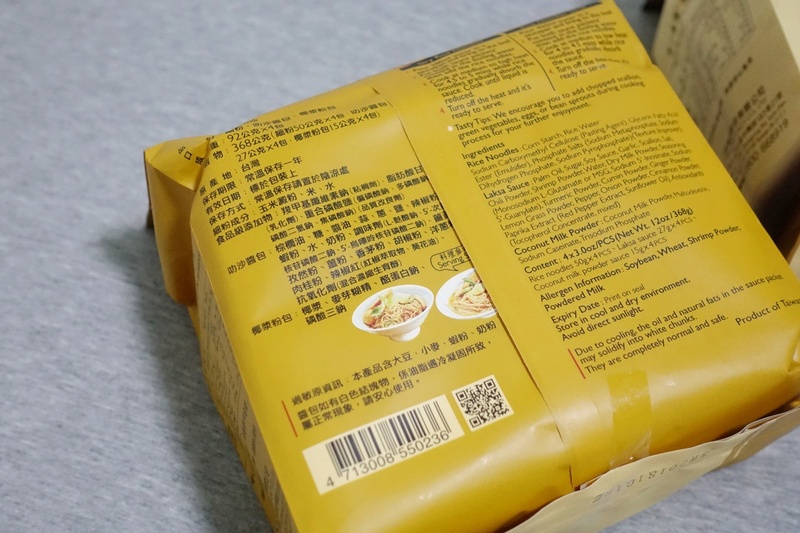 Other than 台酒花雕雞麵 / 台酒麻油雞麵, another popular noodle to get is 满汉大餐. My sister specially requested for me to bring this back for her and I got her the 葱烧猪肉麵 Chilli Pork Flavor. 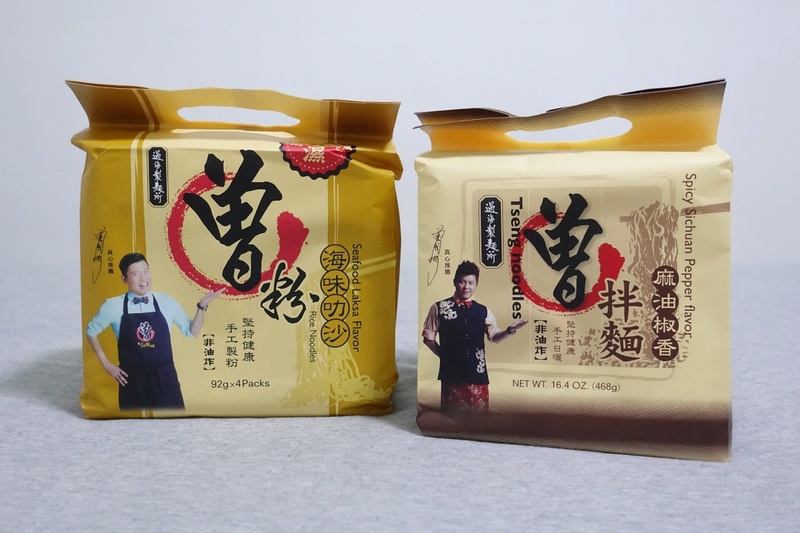 Likewise, each contains 3 packs. 珍苑 花膠鮑魚佛跳牆 Jen Yuan Fish Maw with Abalone Buddha’s Favorite and 顶级佛跳墙 The Great Monk Jump Over The Wall that I got from Taoyuan International Airport. 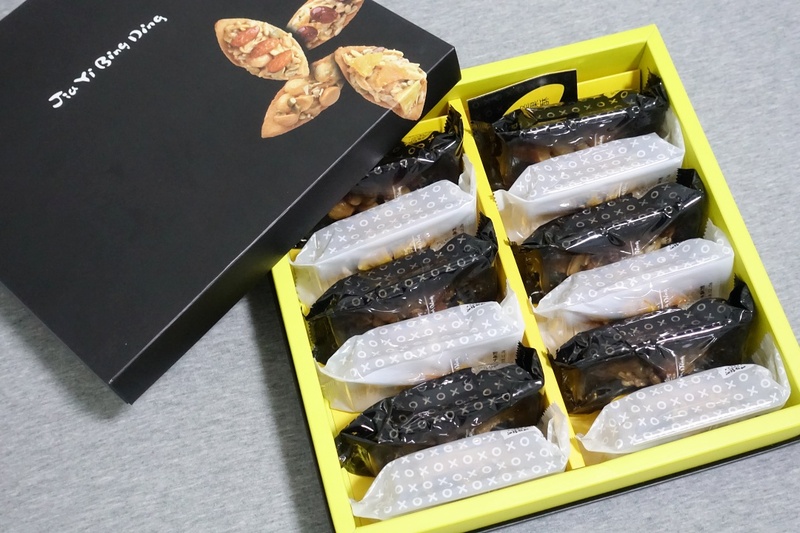 珍苑 花膠鮑魚佛跳牆 Jen Yuan Fish Maw with Abalone Buddha’s Favorite – Abalone, Mushroom, Fish Maw, White Mushrooms, Chestnuts, King Oyster Mushroom, Scallop. 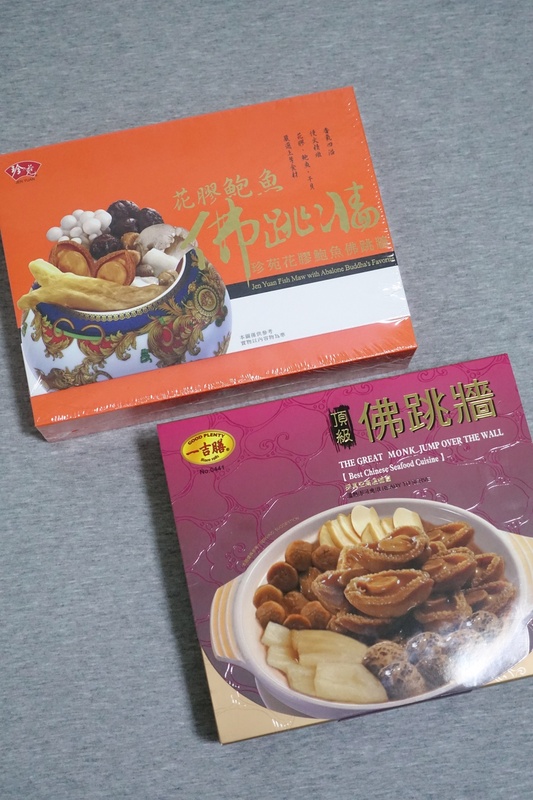 顶级佛跳墙 The Great Monk Jump Over The Wall – Abalone, Mushroom, Abalond Mushroom, Snow Fungus, Dried Scallop, Bamboo Pith. 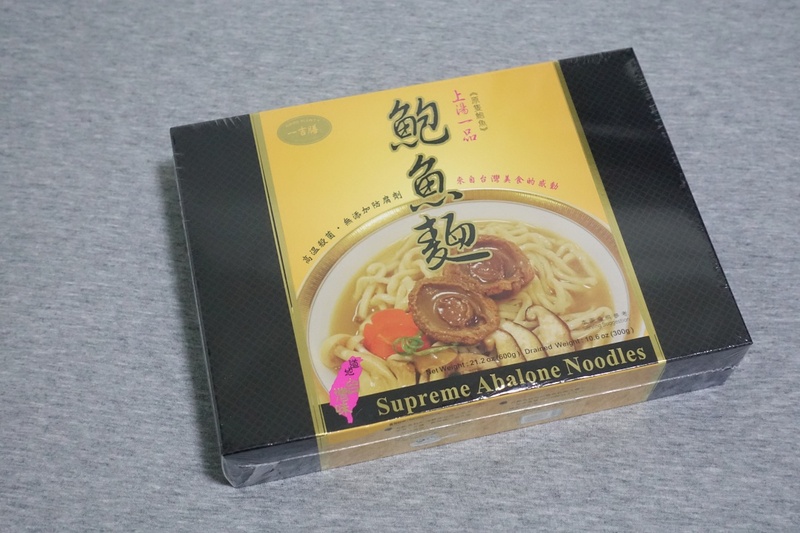 Also got this Supreme Abalone Noodles from the airport. Despite the box, I believe this is only meant for one serving. 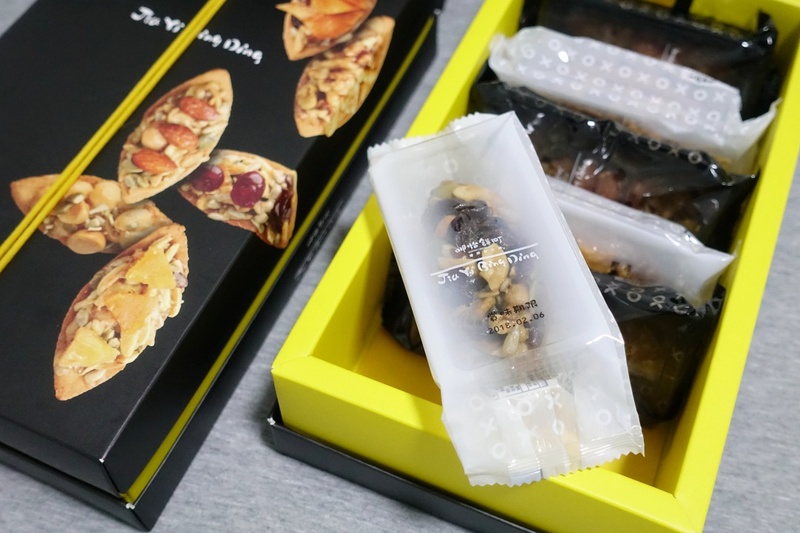 Then there were these Jia Yi Bing Ding pastries from 新勝發 that my mum got me to get. Price is TWD420 for a box of 6 and TWD840 for a box of 12. 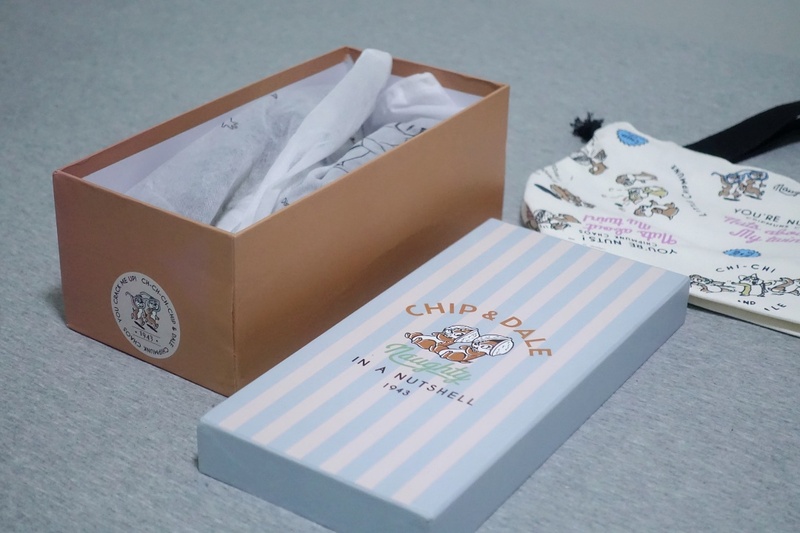 Moving on to fashion items, I got these two from Grace Gift. 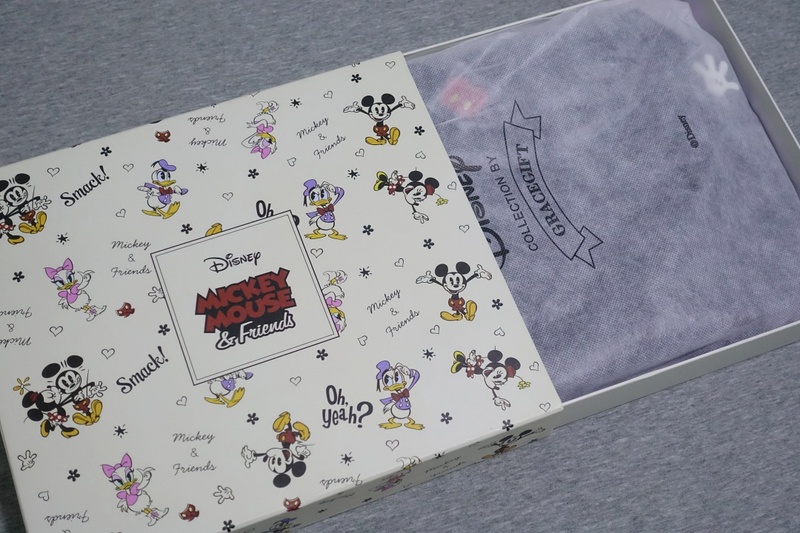 First is the Mickey Drawstring Cylinder Bag that I got for my sister. Price: TWD899. It comes in a pretty box and I’m thankful that the box was flat / wasn’t overly bulky. Remember I mentioned that I wanted to get the yellow Pooh bag but it was out of stock? It turns out, the Husband actually went and ordered one on the very night after we left Grace Gift and had it shipped over to me. Till date, I’ve only brought it out twice. 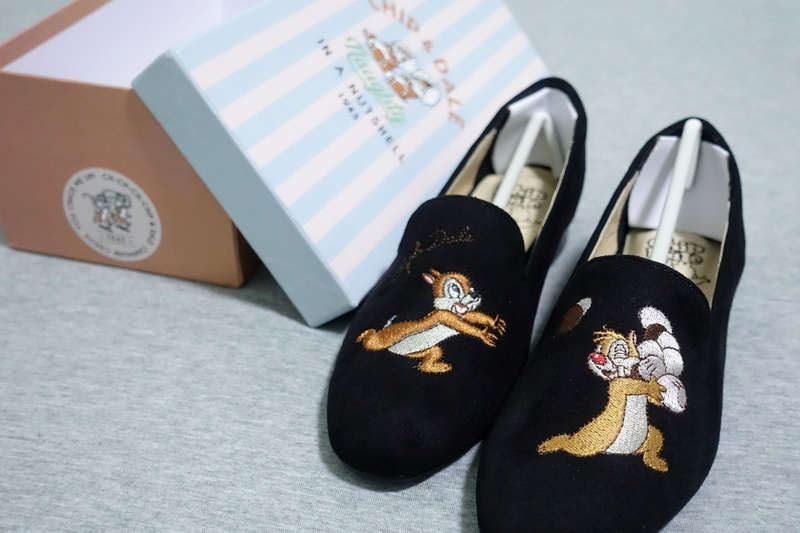 The second item I picked up from the store was this Chip ‘n’ Dale Loafer (TWD1580). 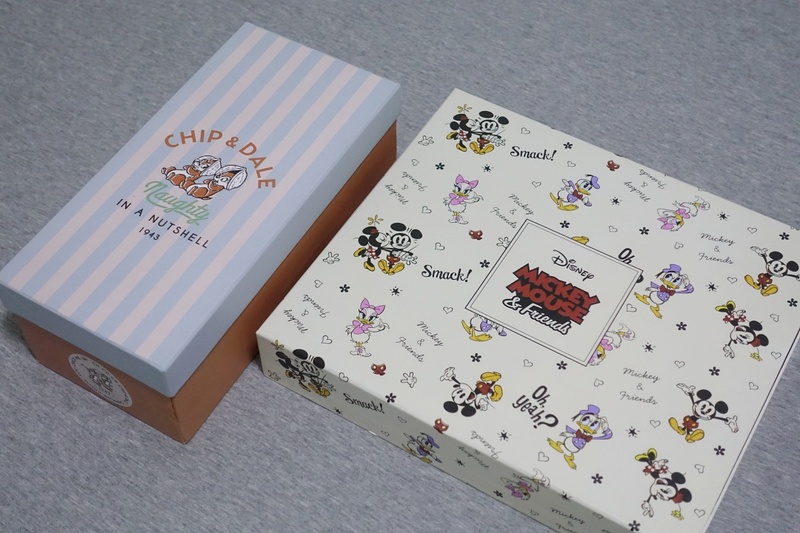 This pair was a lot comfier than the Tsum Tsum Character Flats that I got previously. Though it still wasn’t the most comfortable footwear, it was a lot better than the Character Flats. 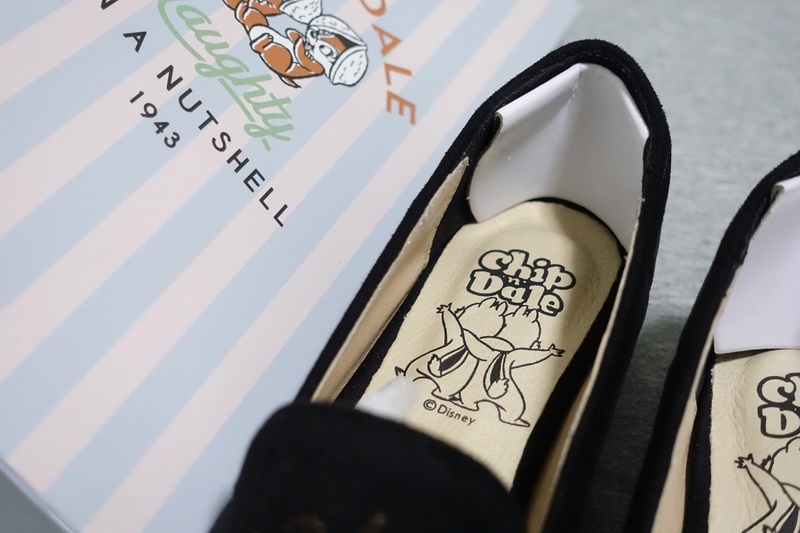 Was given this complimentary Chip ‘n’ Dale lunch box bag with the purchase of the shoes. 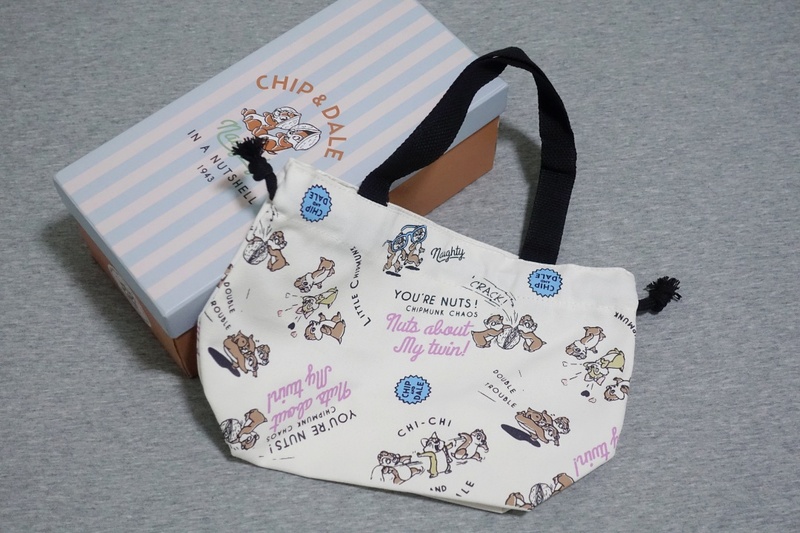 Also picked up one Mickey sling bag and a Mickey zip wallet from the store NET near Shinkuchan Shopping District 新堀江商圈. The bag was TWD499 while the wallet was TWD359. 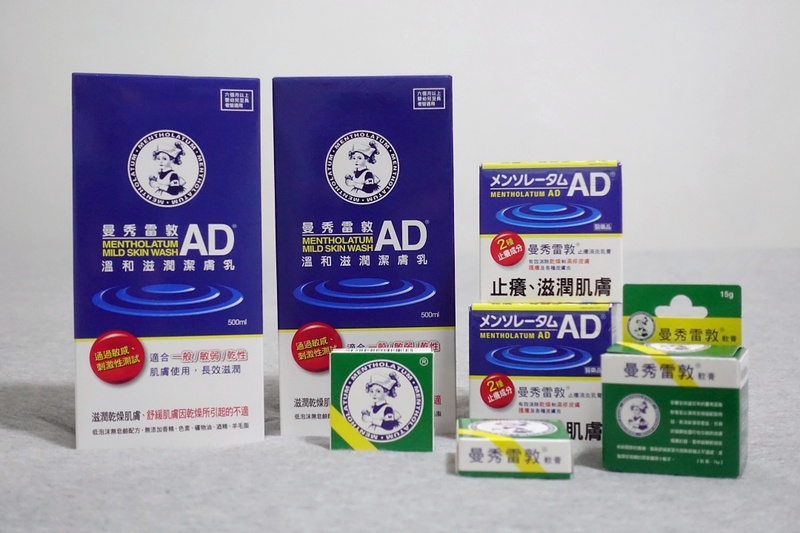 Picked up a couple of these Mentholatum AD products from Watsons for my dad. He bought one of the cream the last time we were in Taiwan and found that it was really good for the relief of itch. Hence he tasked me to get more for him. Also got three bottles of the L’Oreal Hair Touch (TWD202 each) for my mum. It was a lot cheaper to get it in Taiwan as compared to Singapore. So I decided to stock up for her. The Colorful Hair Dye (TWD158) was a last minute purchase at Watsons as we were trying to clock up the bill to get the complimentary gift voucher. Got it in the shade 寶石粉红 Ruby Pink. I purposely chose a brighter shade because colour like such usually won’t show up well. 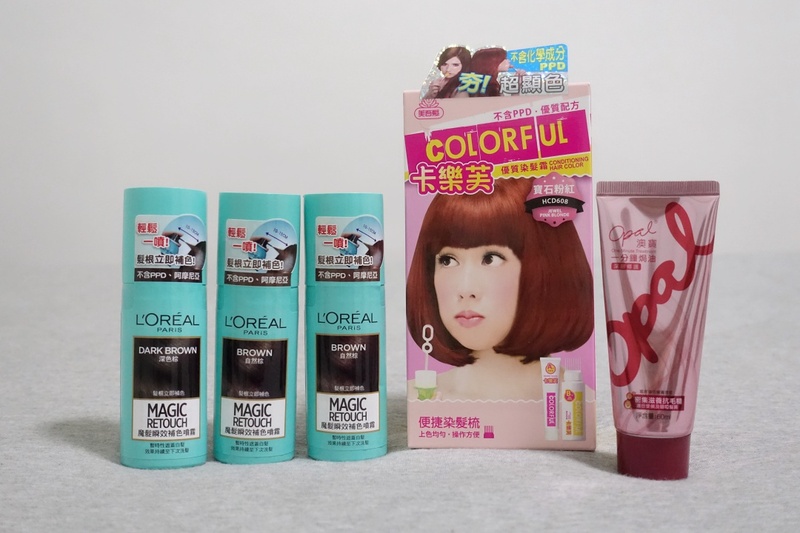 But I was really surprised after I tried it because the colour shows up really well on my brown hair. Definitely worth getting in my opinion. The price is also not as pricey as the usual hair dye I got. Next is the Opal Hair Treatment. Apparently, this was a very popular hair treatment from Taiwan. And I finally understand the hype. It really does work very well and make my hair silky smooth and manageable. Unfortunately, due to luggage constraint, I didn’t end up buying the bigger tubes. There are available in various sizes and you can get a small travel size like such or bigger tubes. They also do a bundle sale where they sold three tubes in a box for a better price. 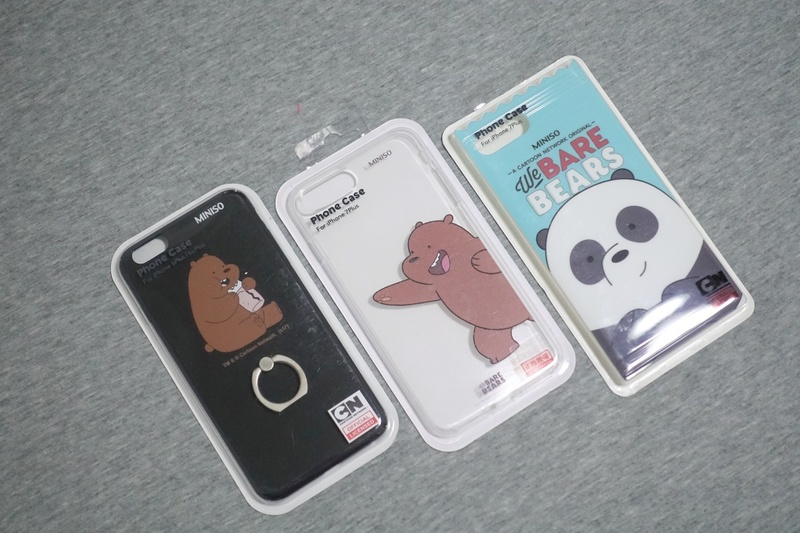 You can find these easily from Watsons or 光南大批发 Kuang Nan Fashion Shop. Moving on is facial sheet masks. Made a mental note not to get too many because they’re heavy and I still have a significant amount of facial masks at home that I can’t seem to finish using. However, the moment I stepped into Watsons, I realised it was hard to choose which to get! I decided to forgo the ones we can get in Singapore like the My Beauty Diary and Sexylook Black masks. 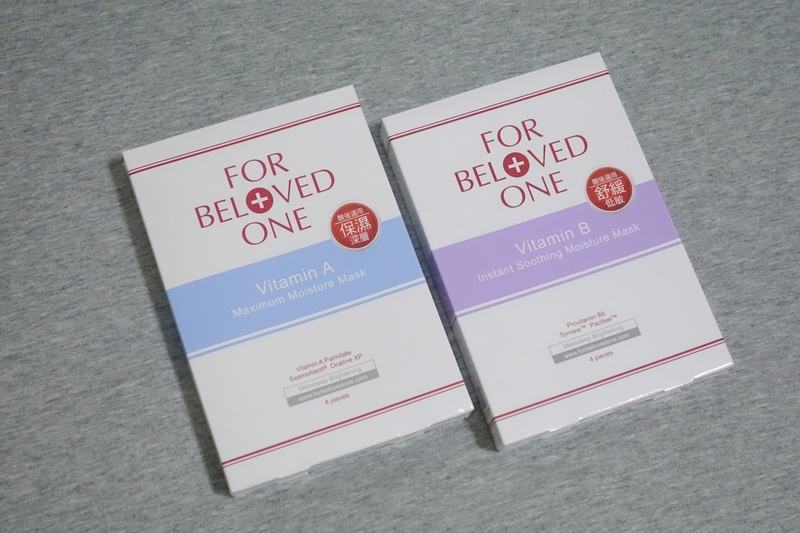 Based in Taiwan, For Beloved One is one of Asia’s top cosmeceutical skincare brands and they are most known for the discovery and creation of bio-cellulose mask. 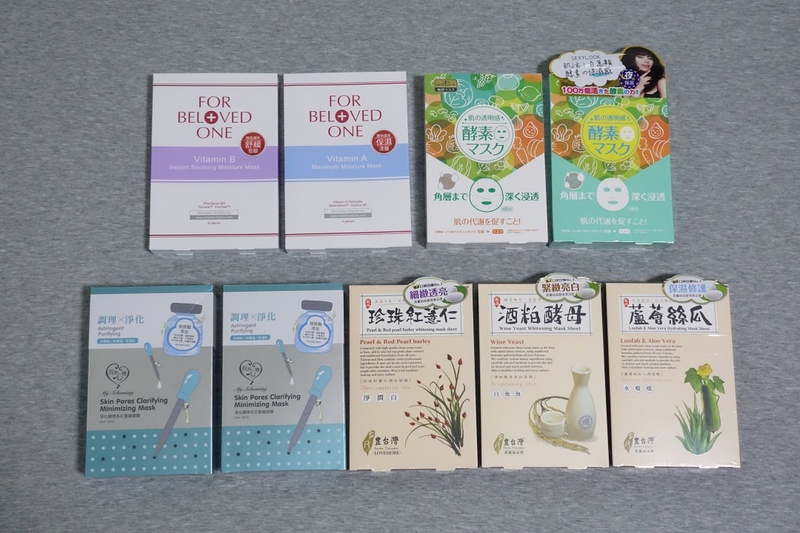 The two I picked were just usual sheet mask (not bio-cellulose mask) and they were okay I guess? I didn’t particularly enjoy them, but I don’t hate them either. Most likely won’t be getting these again. At the time when I bought these, they were yet available in Singapore. 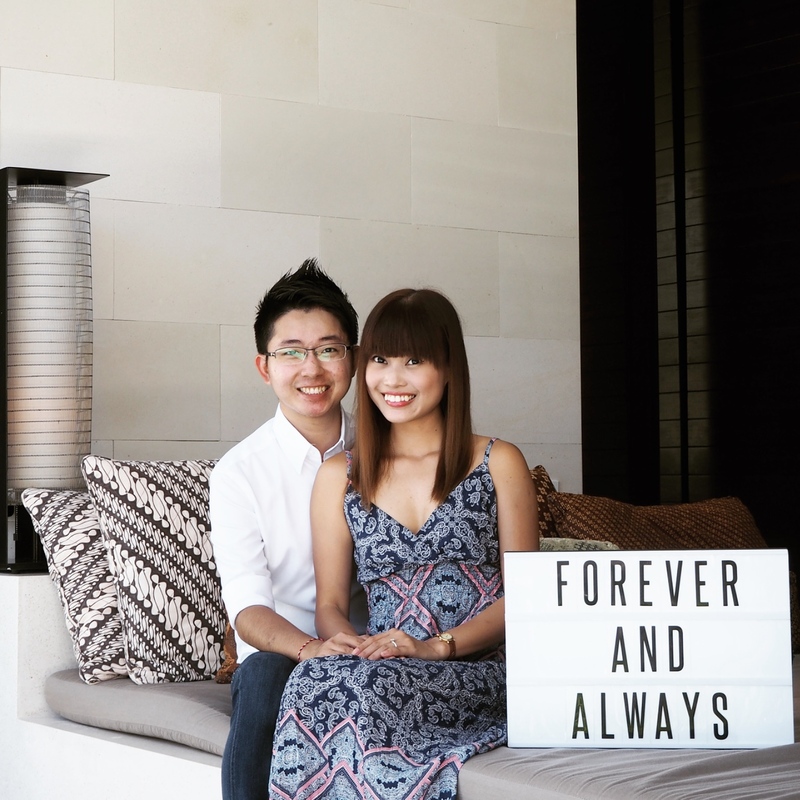 But now you can already find them at our local Watsons. 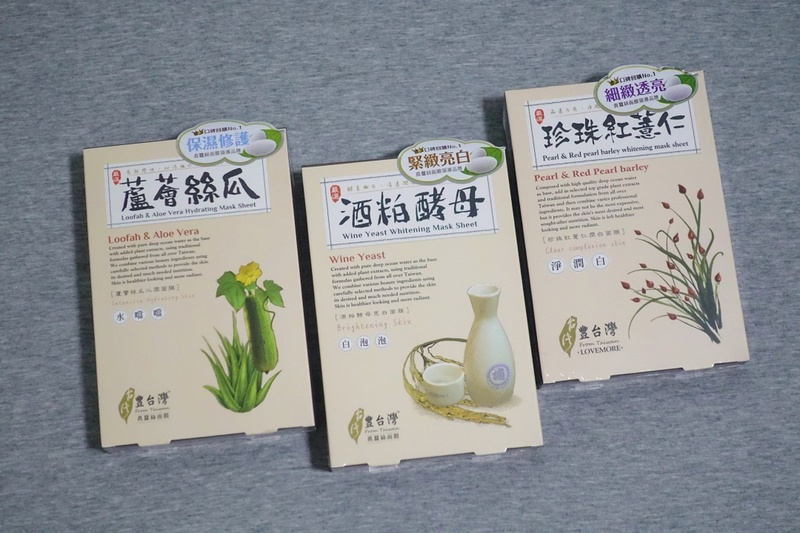 They seem quite promising with the use of enzyme 酵素. I really like them! 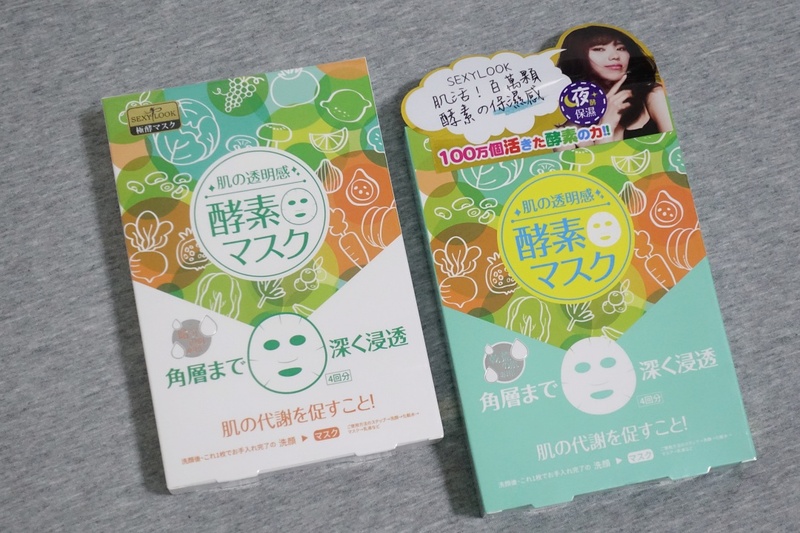 Each packet comes with a substantial amount of essence and after putting on the masks, I love that it doesn’t make my face feel sticky/tacky. In fact, my skin felt comfortable. 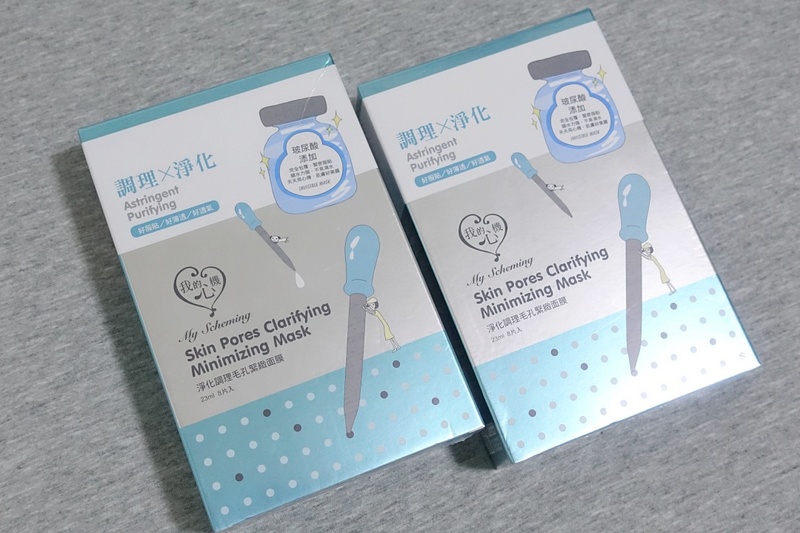 My Scheming Skin Pores Clarifying Minimizing Mask. This came highly recommended online, hence I picked up two boxes. I love them! In fact, this was probably my favourite of all the ones I picked. LOVEMORE Pearl & Red Pearl Barley Whitening Mask Sheet | Wine Yeast Whitening Mask Sheet | Loofah & Aloe Vera Hydrating Mask Sheet. I quite enjoy these too. Personally, I feel that my concern for facial masks is not about the effect they give me (whitening, pore minimizing, etc) but instead, more on how my skin feels after using them. Still, I usually try to pick up a variety like hydrating, whitening, clarifying, etc. Moving on to other bits and bobs. 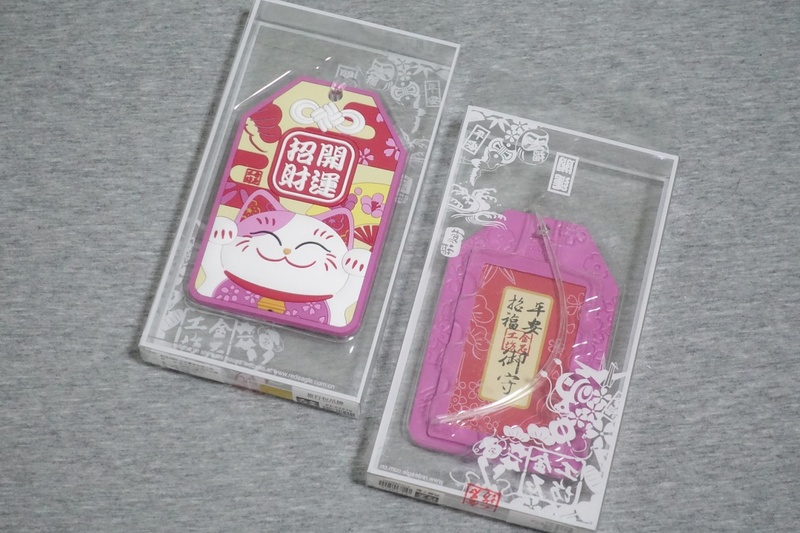 Cute fortune cat luggage tags that I got from Hualien Cultural and Creative Industries Park 花蓮文創園區 and three iPhone cases I picked up from the Miniso at Ximending. 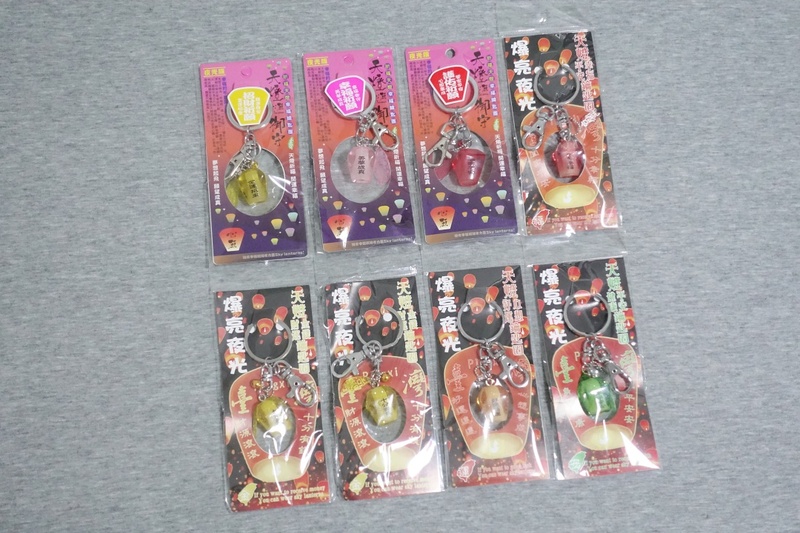 Lantern keychains I got for my mum. Found these at Ximending. It was TWD90 for one and you get one free with every ten pieces purchased. Can mix with other keychains or magnets (priced differently) found in the shop. 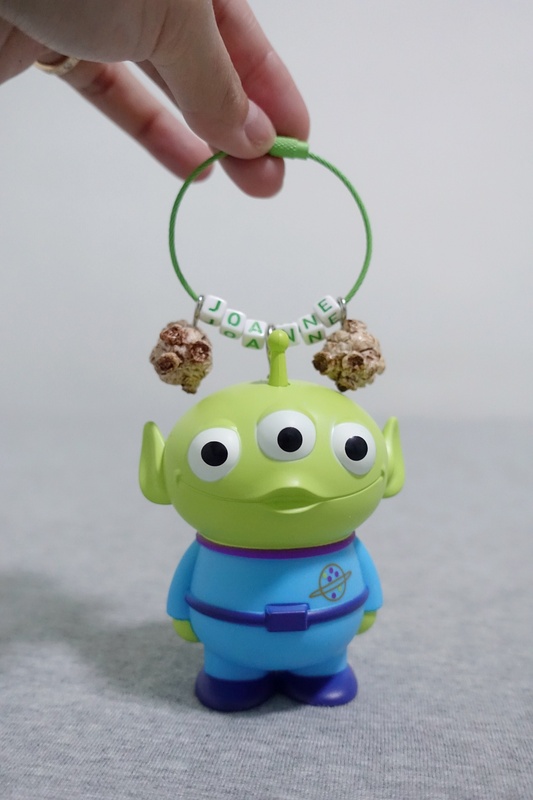 Toy Story’s Green Alien Keychain I customised at Ruifeng Night Market. 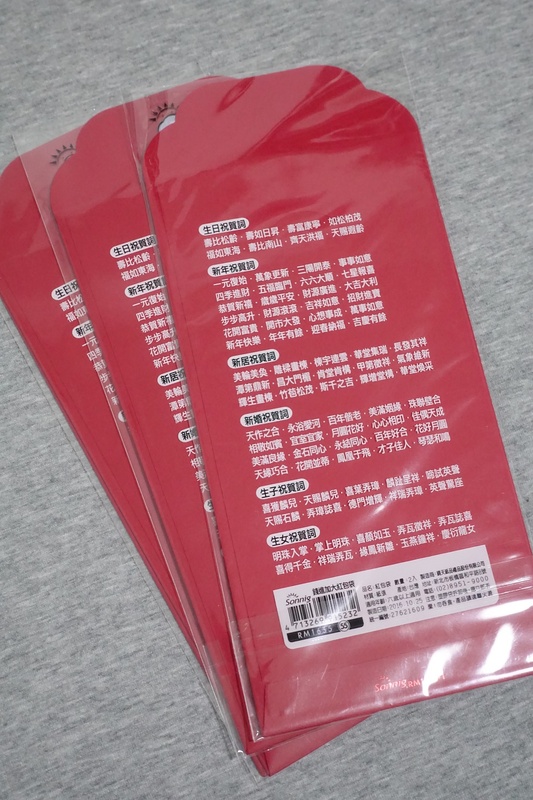 You can choose the toy, accessories and wordings. 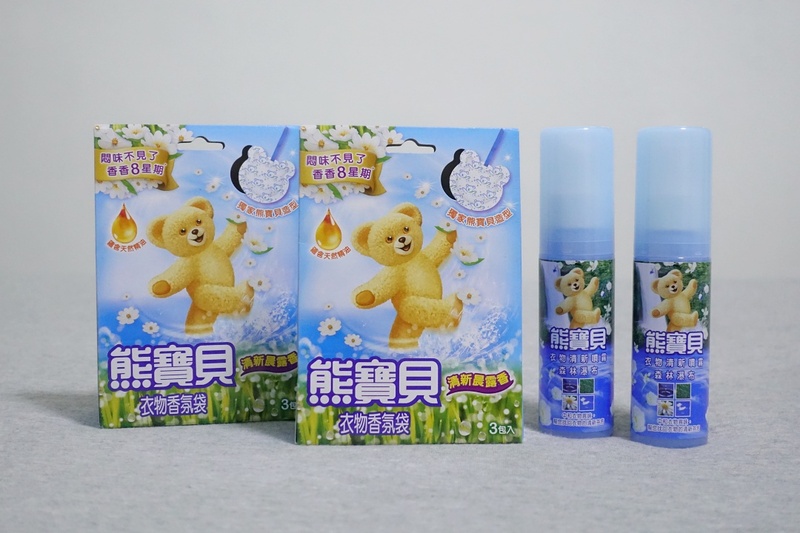 熊寶貝衣物香氛袋 Clothes Freshener (three in a box) and 熊寶貝衣物清新喷雾 Clothes Freshener Spray. Can you see the theme here? Picked all these for my sister because she likes this sort of things. 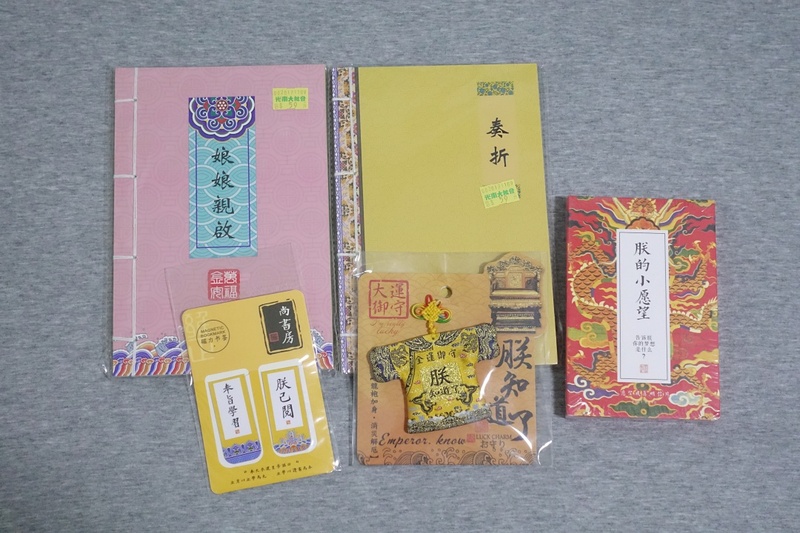 Notebooks from 光南大批发 Kuang Nan Fashion Shop, 朕的小愿望 postcards set and bookmarks from 有趣日月潭, and emperor robe accessories from a shop in Ximending. 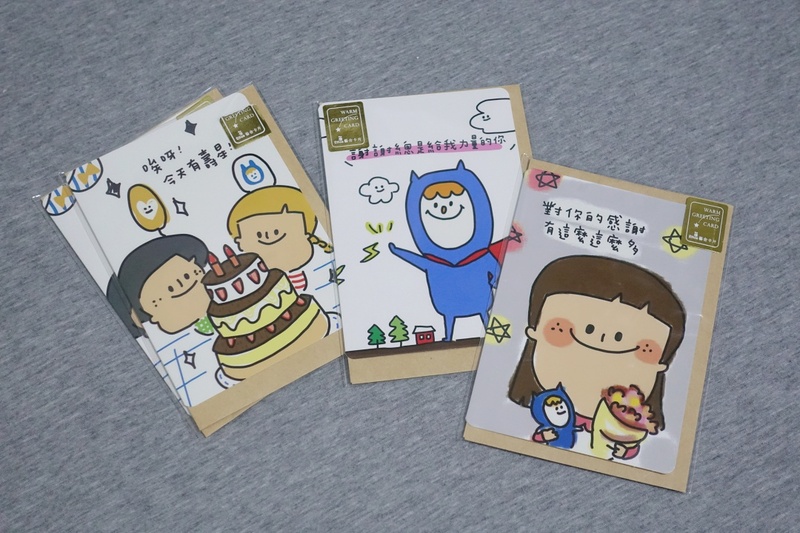 The postcards set (TWD150) is so cute and pretty! 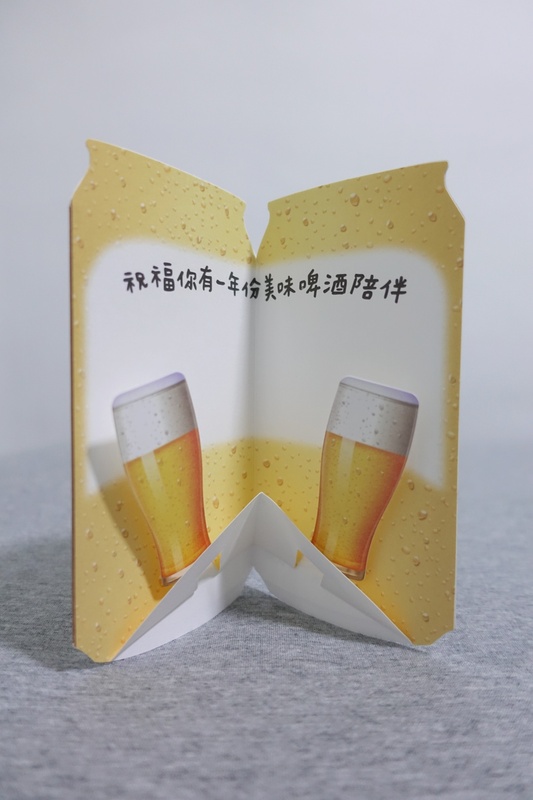 Comes in 30 pieces with funny phrases like 朕许你越来越瘦, 人见人爱, 可爱满分, 要啥有啥, 考啥都會. 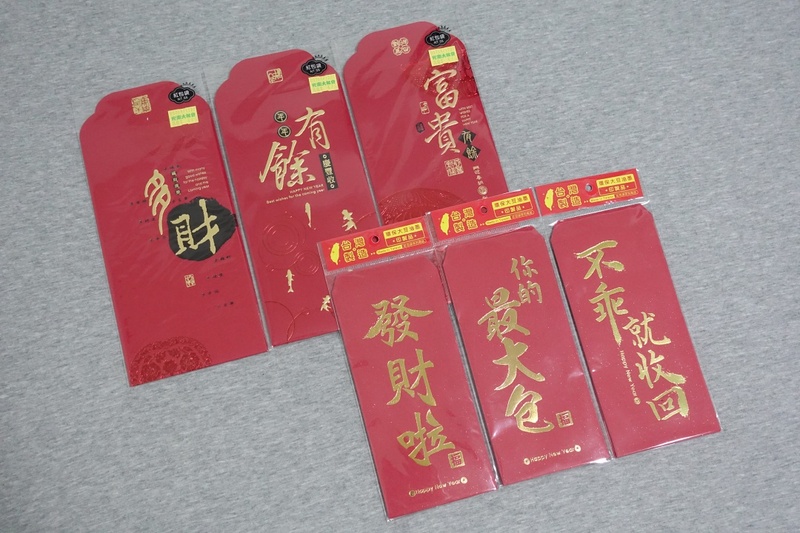 Bought some pretty red packets. Produced in Taiwan. The bigger one comes in a pack of two while the smaller one comes in a pack of six! 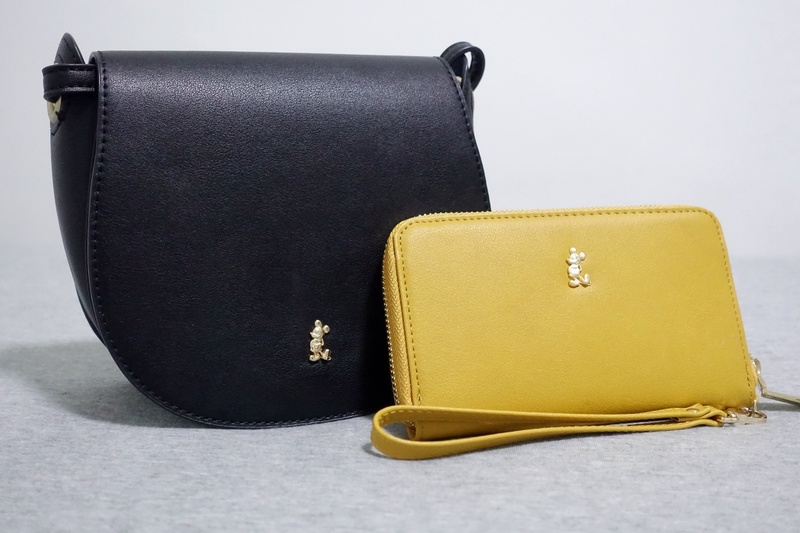 The bigger one is bought from 光南大批發 Kuang Nan Fashion Shop for TWD44 each. While the smaller one is from a stationery store near Shida Night Market. I ended up giving the “不乖就收回” one to my sisters during Chines New Year. Available in so many designs and words. 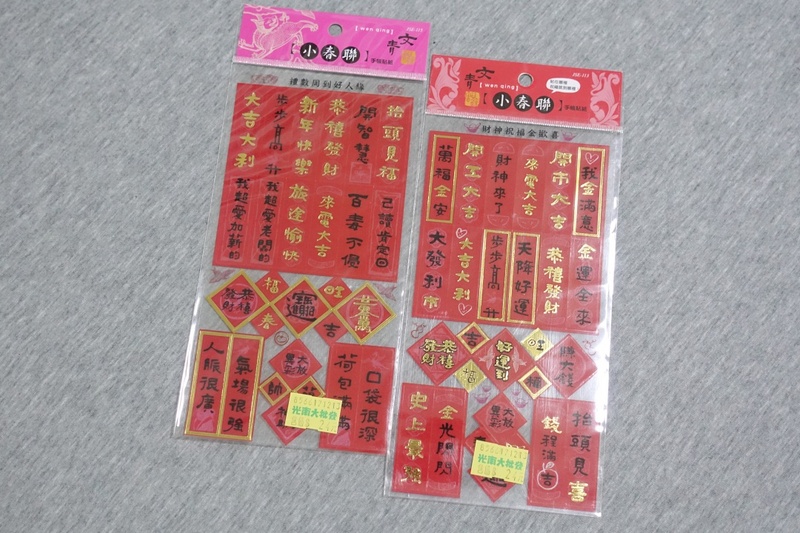 Stickers at TWD24 per sheet from 光南大批發 Kuang Nan Fashion Shop. There were honestly too many cute stuff to pick up from 光南大批發 Kuang Nan Fashion Shop! 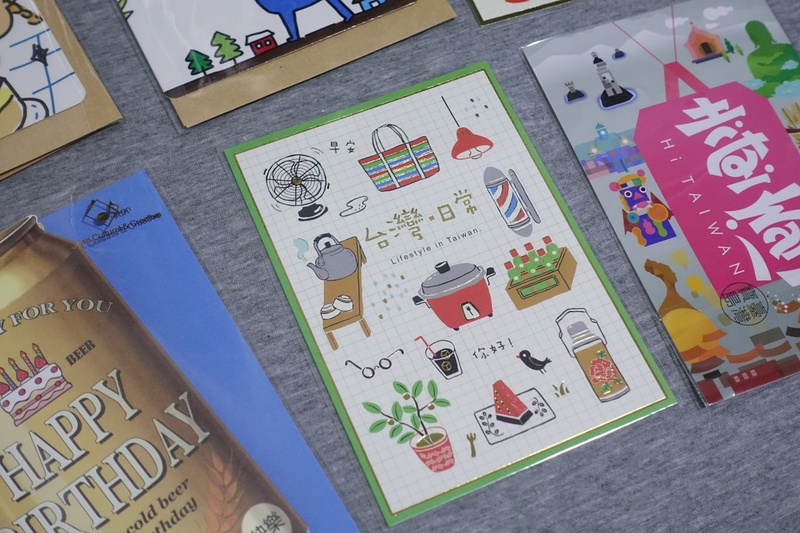 More items from there, like these adorable greeting cards and postcards. 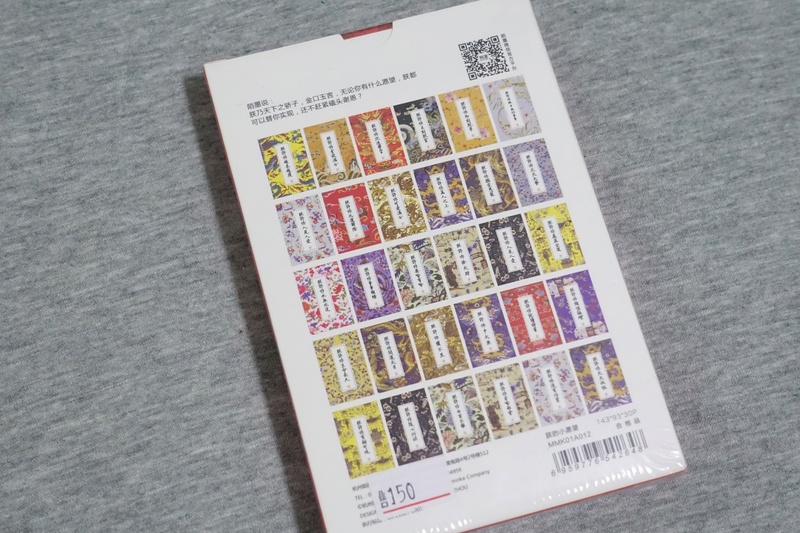 一卡通 iPASS (Taiwan) that I got from Pier 2 Art Center. The iPASS is the only card in Taiwan accepted for all public transport including Kaohsiung Metro, Taipei Metro, buses and TRA. Bought this because I really didn’t like the LINE EASYCARD 悠遊卡 that I got previously. This is so much nicer. 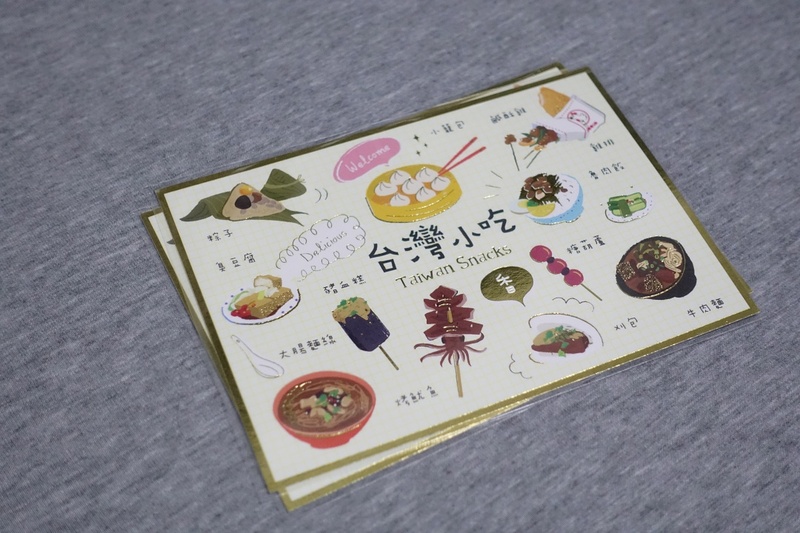 Thought of my dad when I saw this card at 光南大批發 Kuang Nan Fashion Shop. 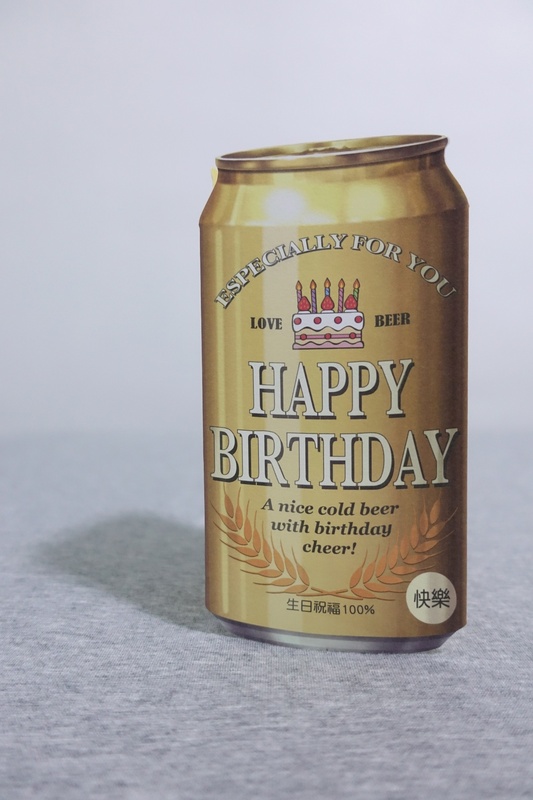 Aside from beer, they also have designs like wine bottle, champagne bottle and flower bouquet. 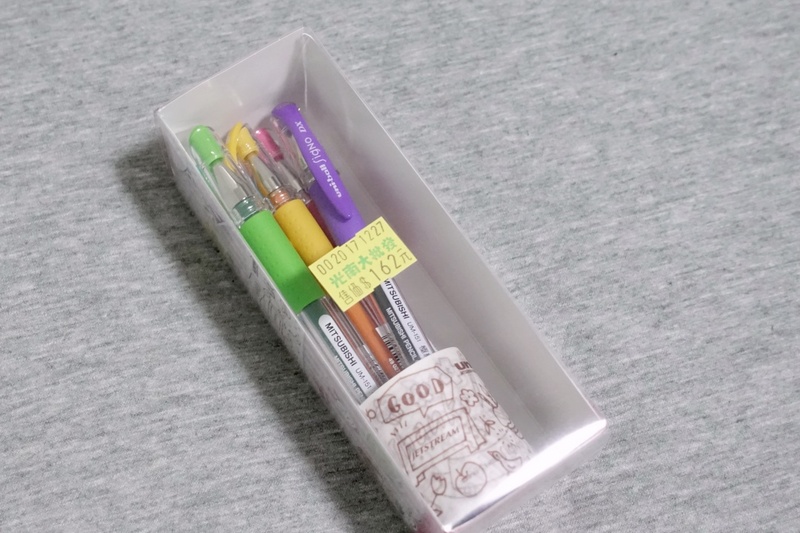 Uniball Colour Pens with Washi Tape (TWD162) from 光南大批發 Kuang Nan Fashion Shop. 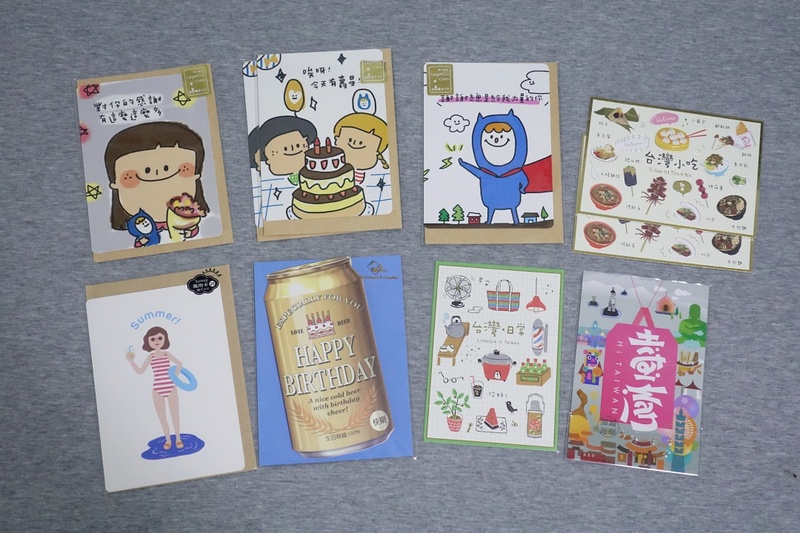 And all these from Rainbow Village 彩虹眷村. 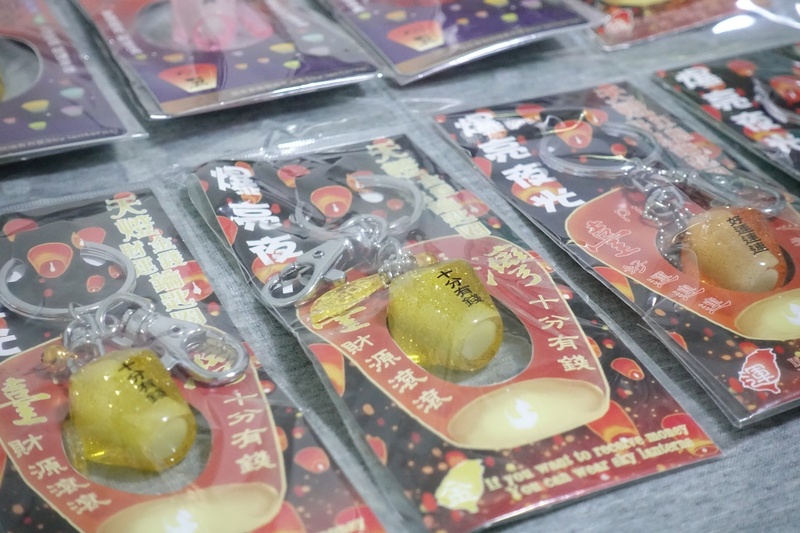 Picked up these from 日亭商店 at Shilin Night Market. They were the posters you find on gachapon machines. 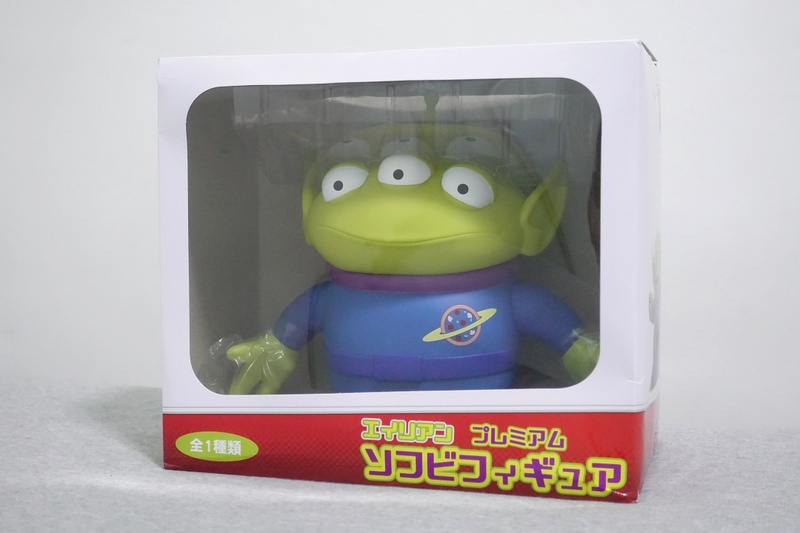 SEGA Toy Story Green Alien Figure (TWD690) from a shop at Shilin Night Market. The edge of the box was slightly damaged, but otherwise, it was good. Figure comes with movable hands. Looking forward to displaying it at my new place. 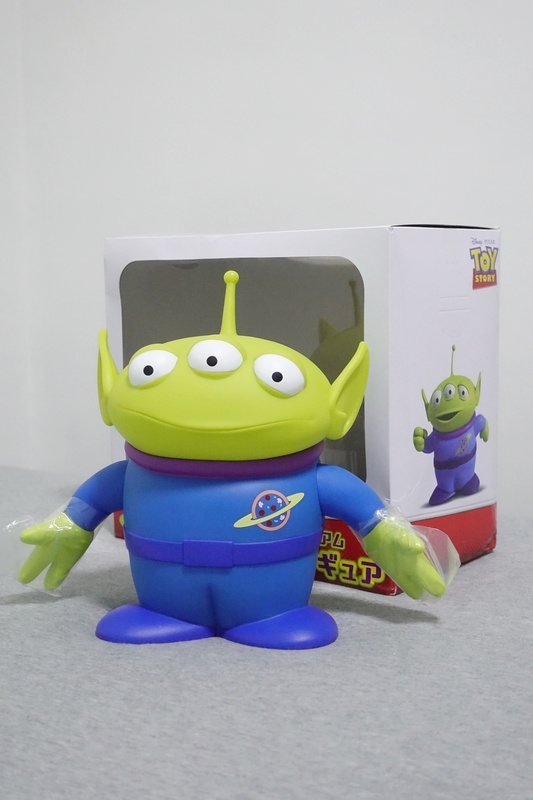 7-11 x Toy Story Collectibles. 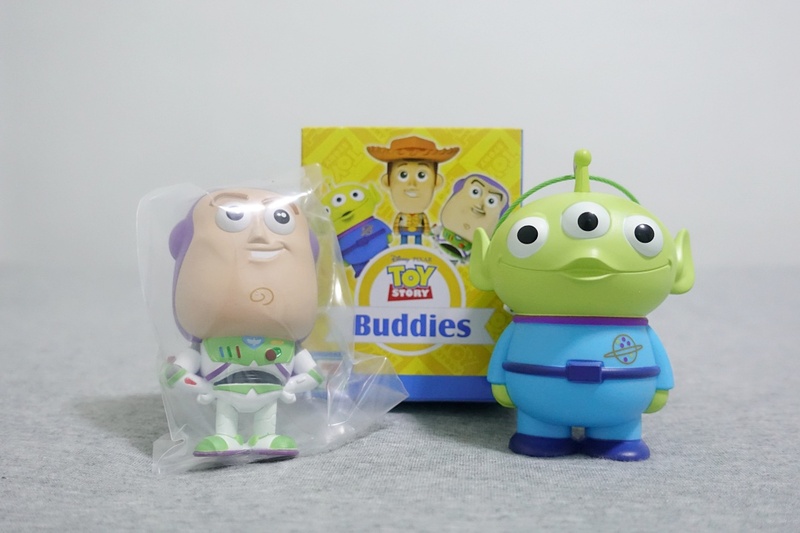 Got the Buzz Lightyear from a gachapon machine at Shilin Night Market for TWD100. It’s actually from the same series with the Green Alien. 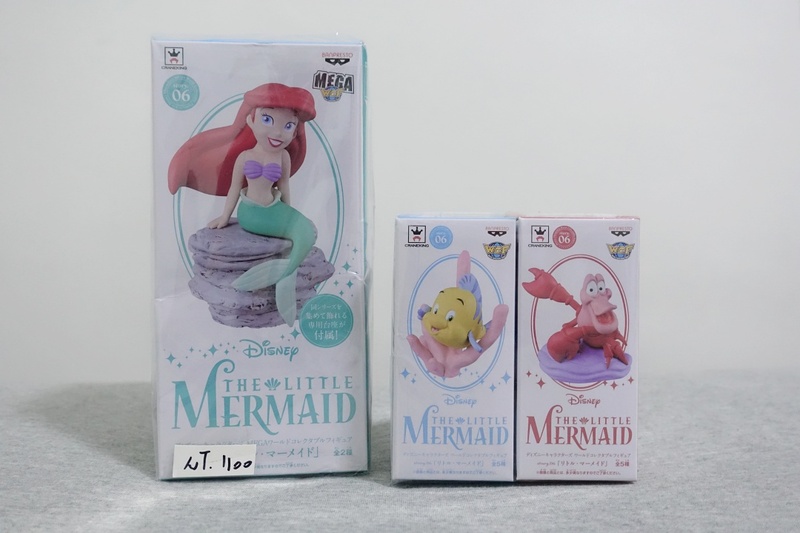 Little Mermaid + Flounder + Sebastian figure (TWD1,100) from 日亭商店. 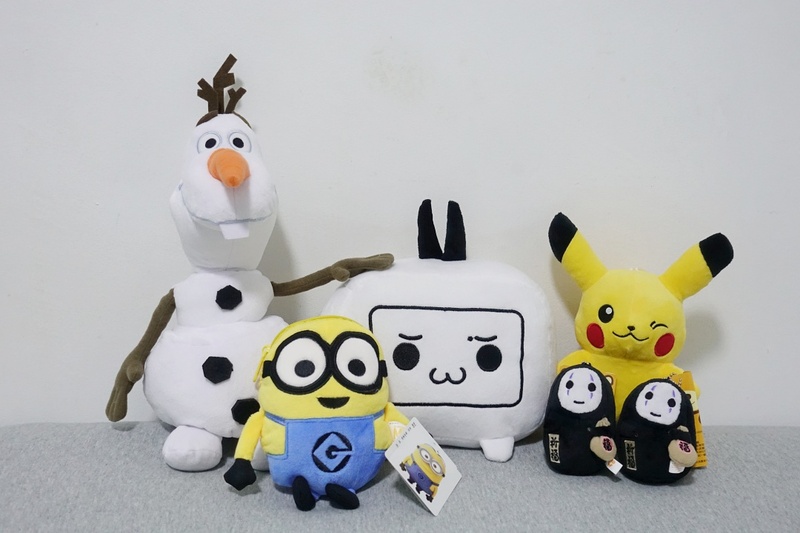 And here come the plushes we caught from the claw machines. 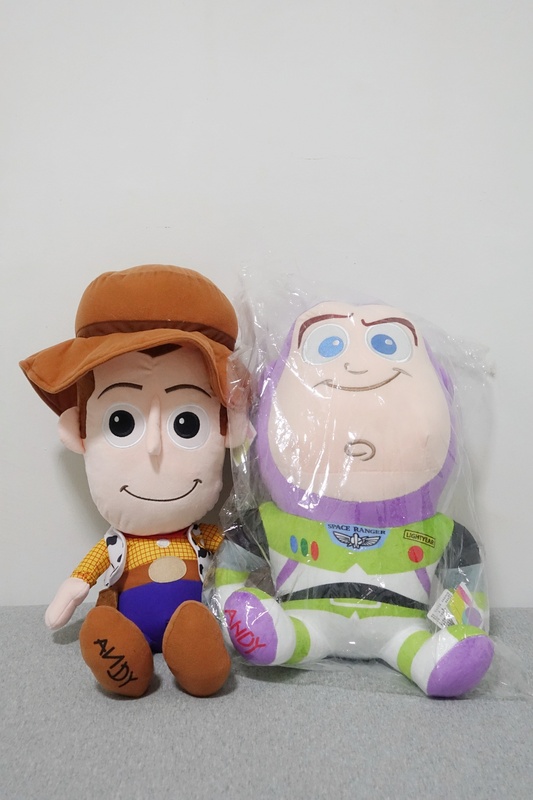 Woody was caught from Rouhe Night Market, whereas the Buzz Lightyear was won by playing the shooting games at Shilin Night Market. 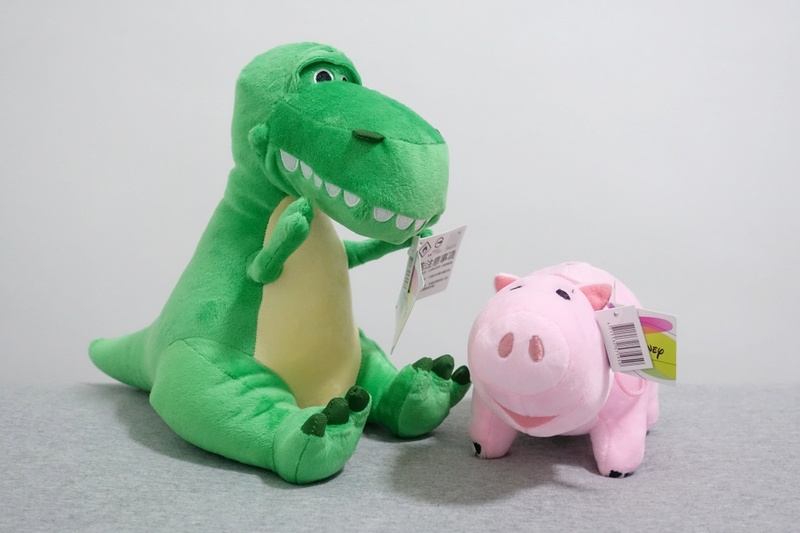 Toy Story Rex and Hamm. 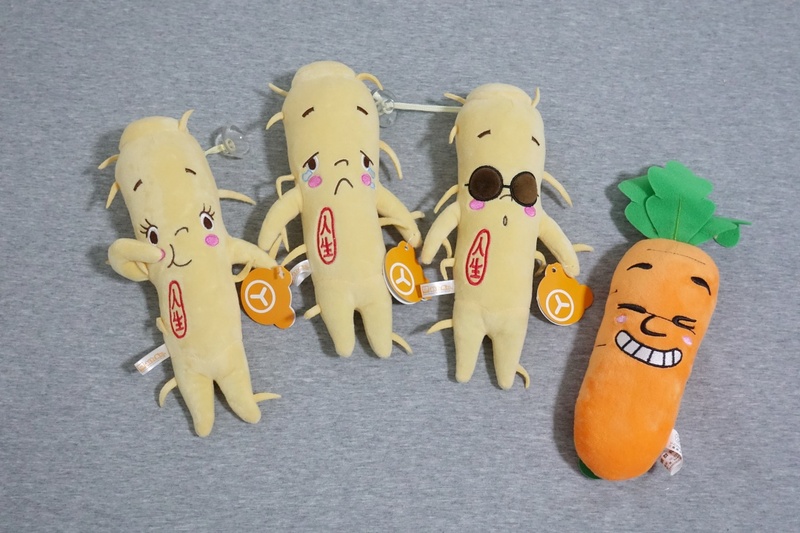 Caught one of the 人身 plush and then won one carrot plush from the claw machine while we were in Hualien. The Husband bought the other two 人身 plushes for TWD120 each. 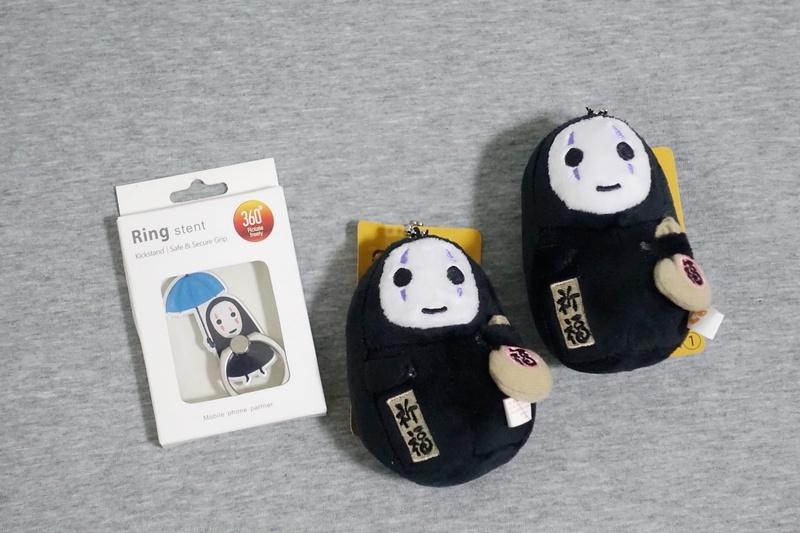 The two No Face Keychains were caught from a claw machine found at Wufenpu while the cellphone ring was purchased from a shop at one of the MRT station in Kaohsiung I believe. 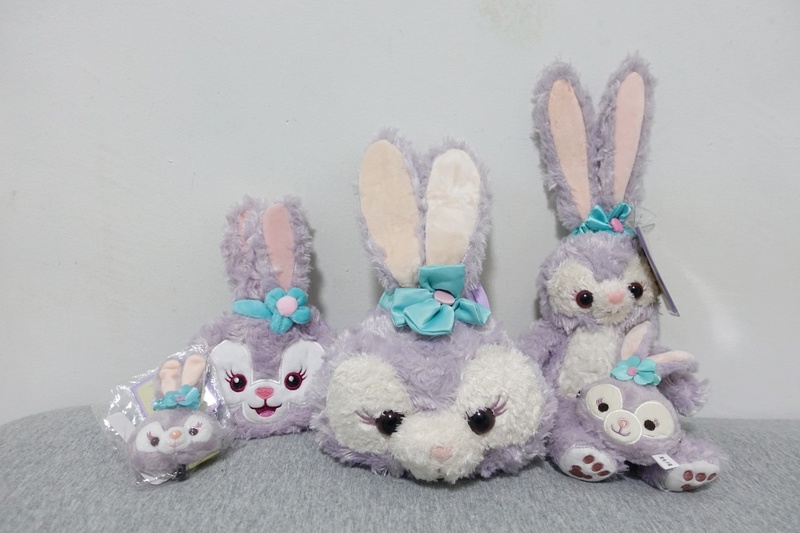 Also got all these Stella Lou items from the claw machines. 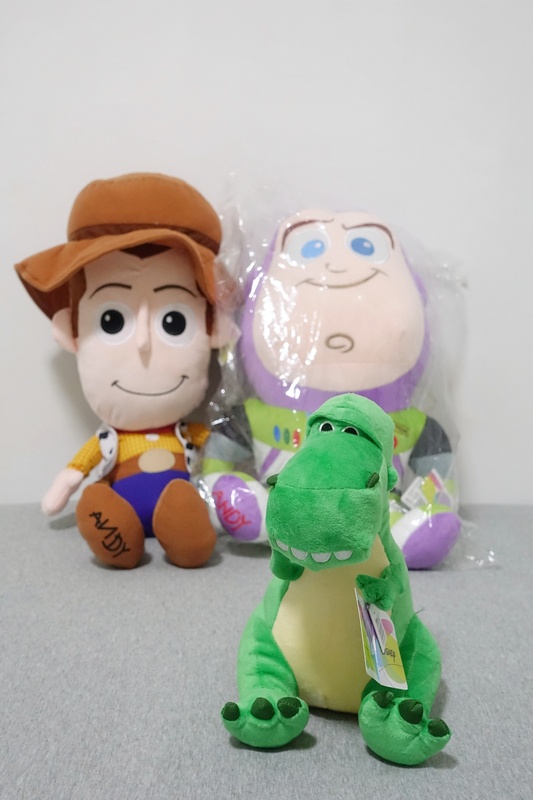 And lastly, these three were also from the claw machines. 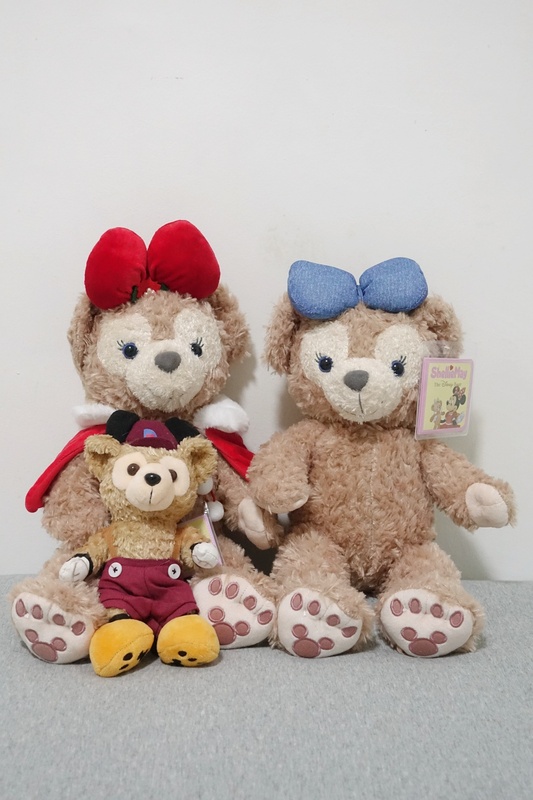 Duffy was the first plush we caught this trip when we were in Taichung; while the Shellie May was caught at Ximending. 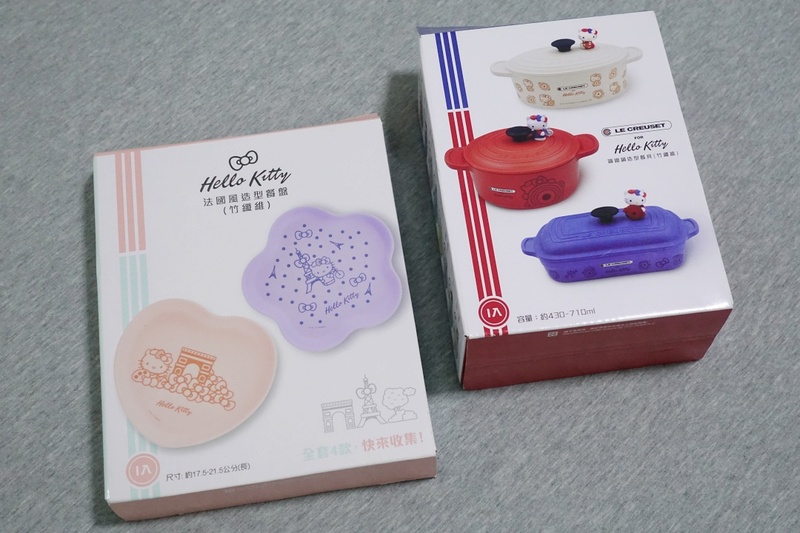 Moving on to the last few items; Hello Kitty x Le Creuset merchandise that I got from the 7-11 in Taipei. 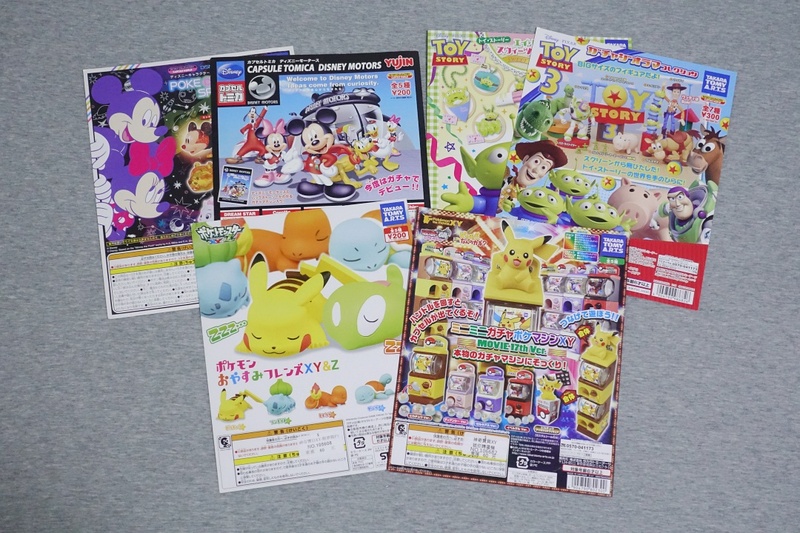 To get these, we’ve to spend at 7-11 to collect the stickers. Once there were enough stickers, we could then redeem it by topping up with a small fee. I really wanted to get the mini casseroles, but it was out of stock in most of the 7-11 we went. As such, I decided to go ahead to redeem the plate. It comes in a sealed box, and I’ve no idea what design I got until I opened it. Very pleased that I managed to get the pink heart-shaped plate. Then on our last night in Taipei, we decided to pop into the 7-11 below Green World Hotel ZhongHua, and I was so happy when I saw they have the mini casserole. It was the only one available, and I believe the stock only just came in that day. So glad I managed to redeem it! And finally, the items I got from Wooderful life! 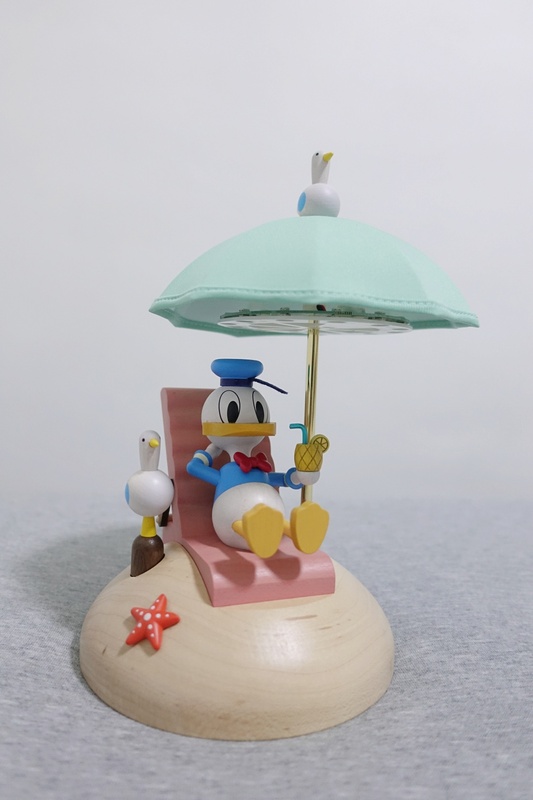 The first item I bought was this Wooderful life Donald Duck Table Lamp 唐老鸭造型伞灯. 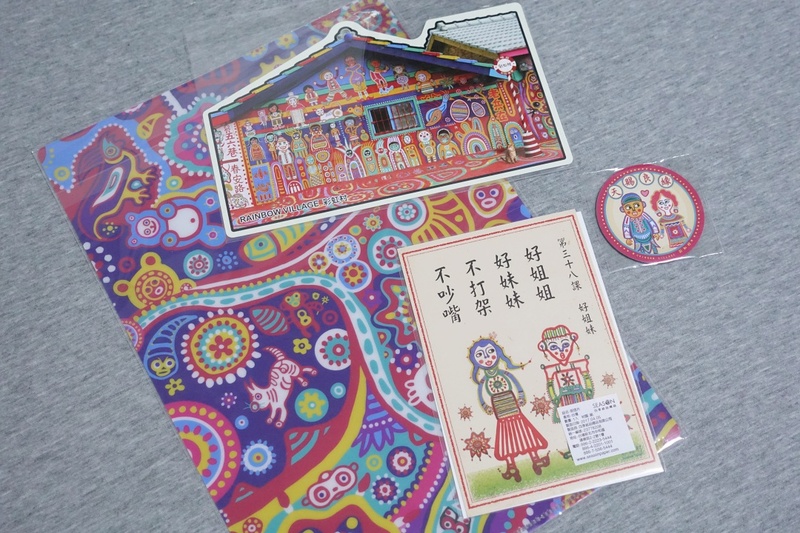 Bought this from 有趣日月潭 in Taichung. 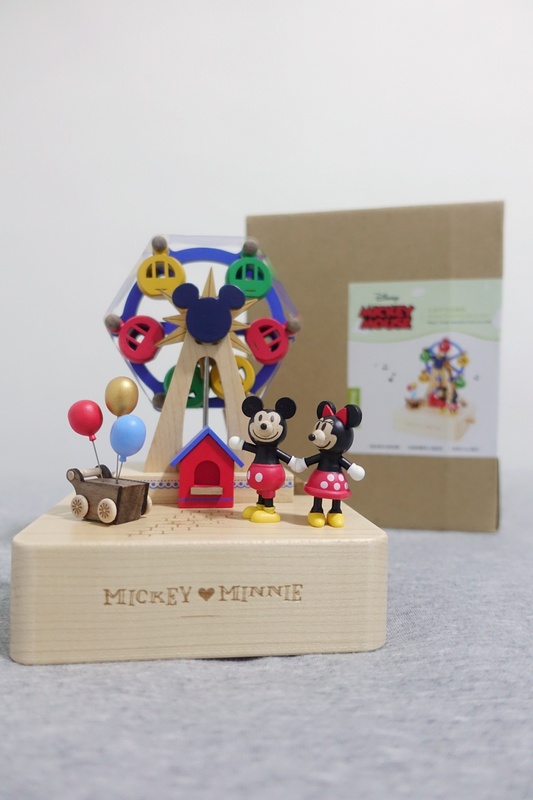 Wooderful life Mickey & Minnie Ferris Wheel Musical 米奇米妮摩天轮音乐鈴. Bought this from the Toyku Hands at ATT 4 FUN, Taipei for TWD1,800. 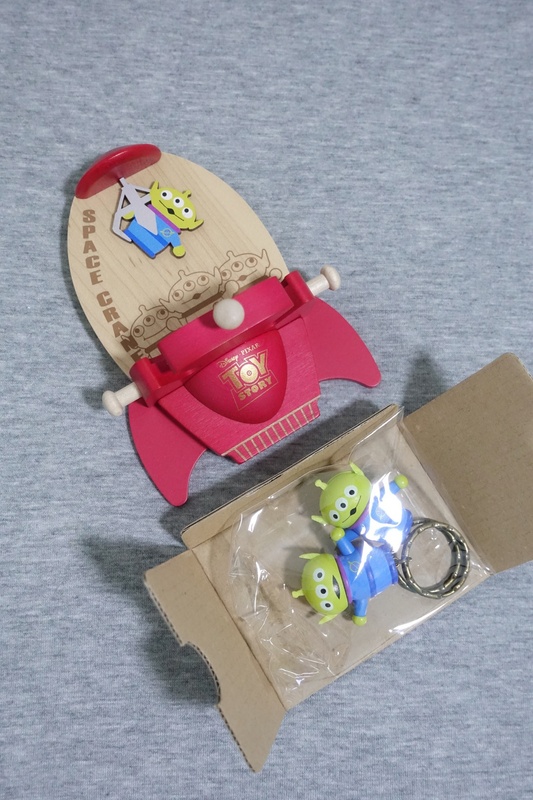 And last but not least, this Wooderful life Toy Story Green Alien Magnet Key Holder 三眼怪吸铁挂勾. 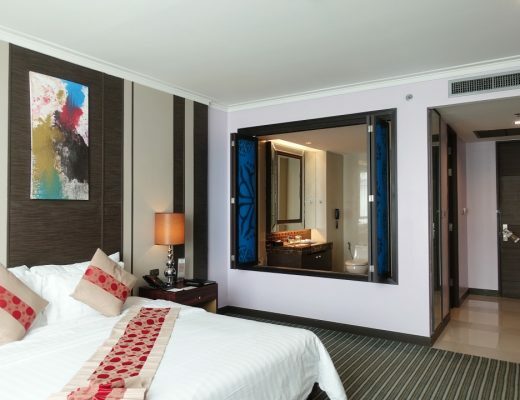 Price: TWD850. You can actually get Wooderful life products in Singapore, but so far I’ve yet to see any of the Disney ones. 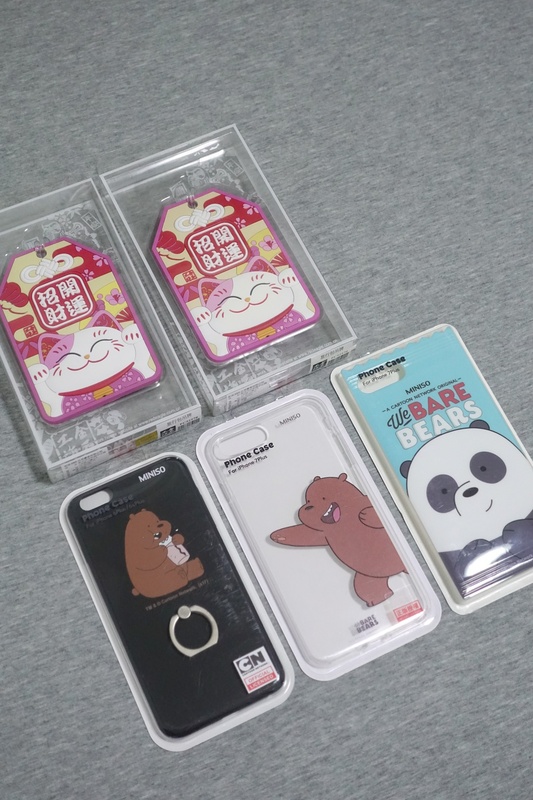 I’m eyeing on a lot of other designs, but I shall wait until my next trip to Taiwan! The above were all the pictures I took for this Taiwan Haul! 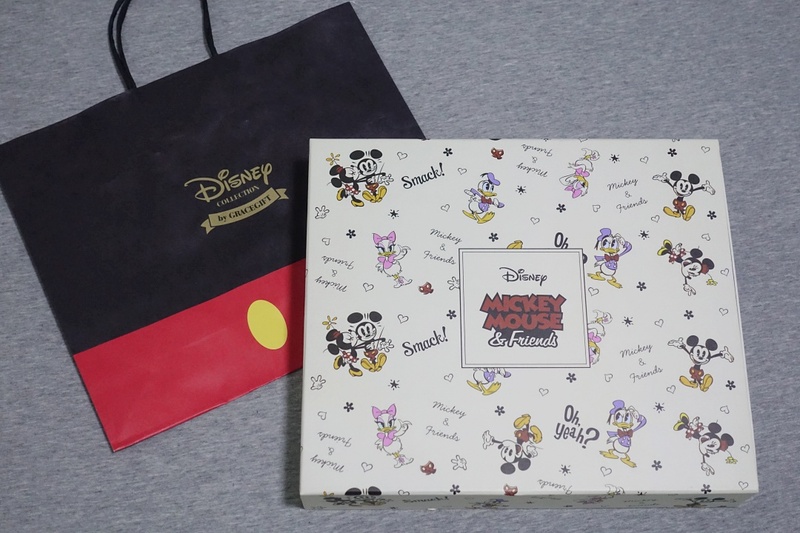 On the top of my mind, the only things I remember to be missing are the two lip products I picked up from Watsons and the clothing I bought during the trip (Like the jacket I got at Rouhe Night Market and the Snoopy pullover I bought at Tainan Flower Night Market). There were also a few other plushes not shown here because I got the Husband to bring back to give it to her niece. Overall, I think I didn’t go too overboard with my purchases? What do you think?